In the experience of the USSA, rules and enforcement are often inconsistent between competitions. In order to ensure that all competitors are being judged fairly and to the same standards, the following rules have been established. There are multiple judges present at the National Masskrugstemmen Championship to enforce these rules, so it is important for all competitors to know them in advance and incorporate them into their training early on to ensure good form. A 1L glass stein with handle must be used. The stein itself should weigh approximately 3.5lbs and should be provided by the establishment hosting the competition to ensure consistency. Stein must be filled with liquid to the 1L lip. Stein must be gripped by the handle. 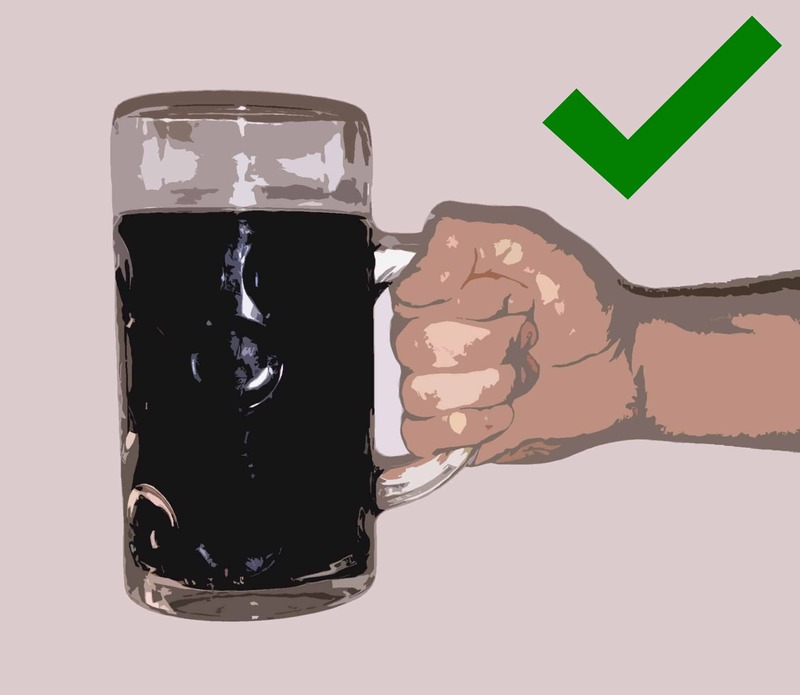 The thumb may not rest on top of the stein handle, it must rest on the other fingers. Pinkie finger may be held outside of the handle. Arching of the back is allowable, however excessive leaning is unacceptable. The stein must be gripped such that the front of the stein faces away from the competitor (the stein can't be gripped sideways). 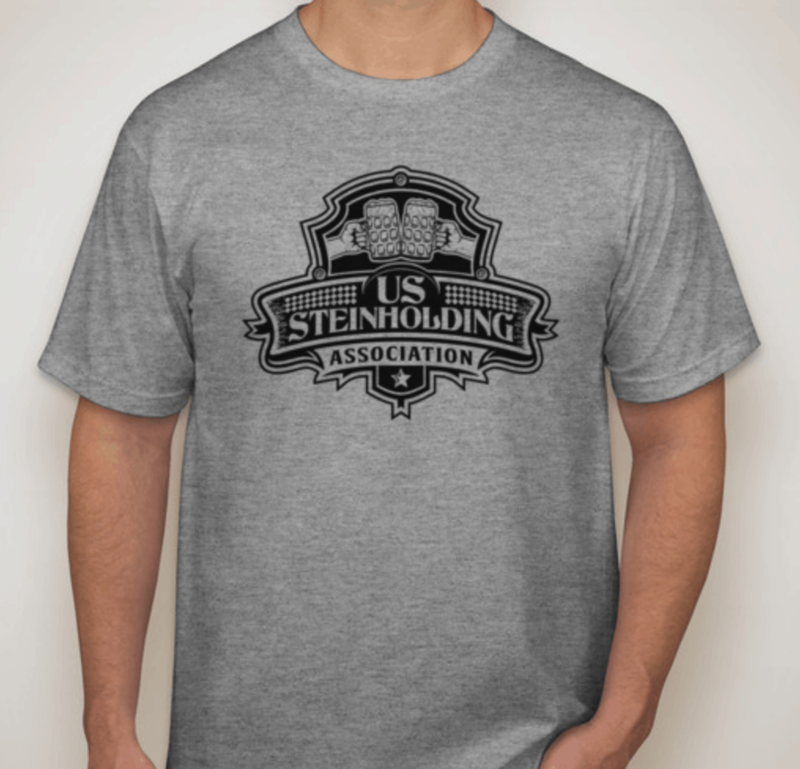 Stein must be held out in front of the competitor, not out to the side. 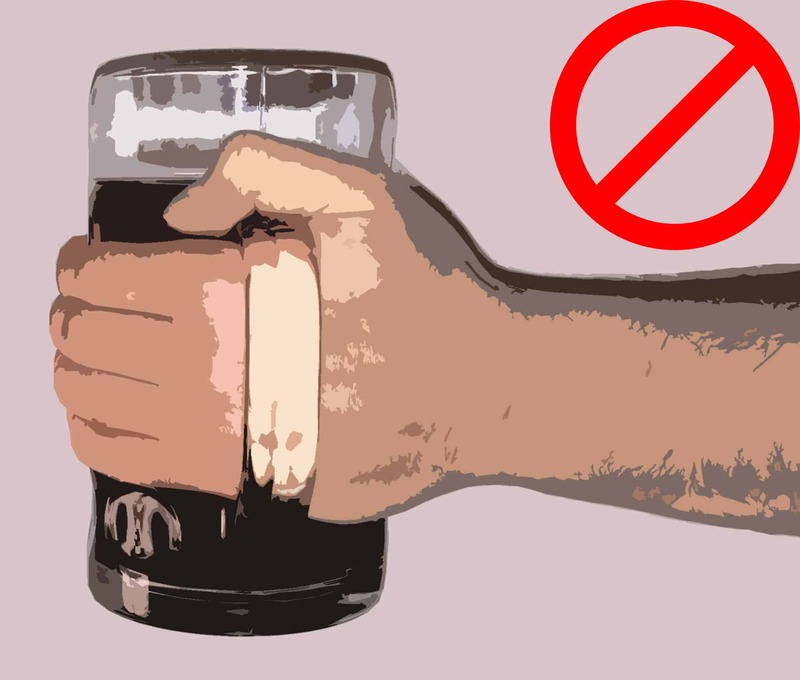 The arm holding the stein must remain close to parallel with the floor and should be extended straight with very little bending at the elbow. The arm holding the stein should remain separated from the chest of the competitor. The chest may not be used as a shelf to support the arm. 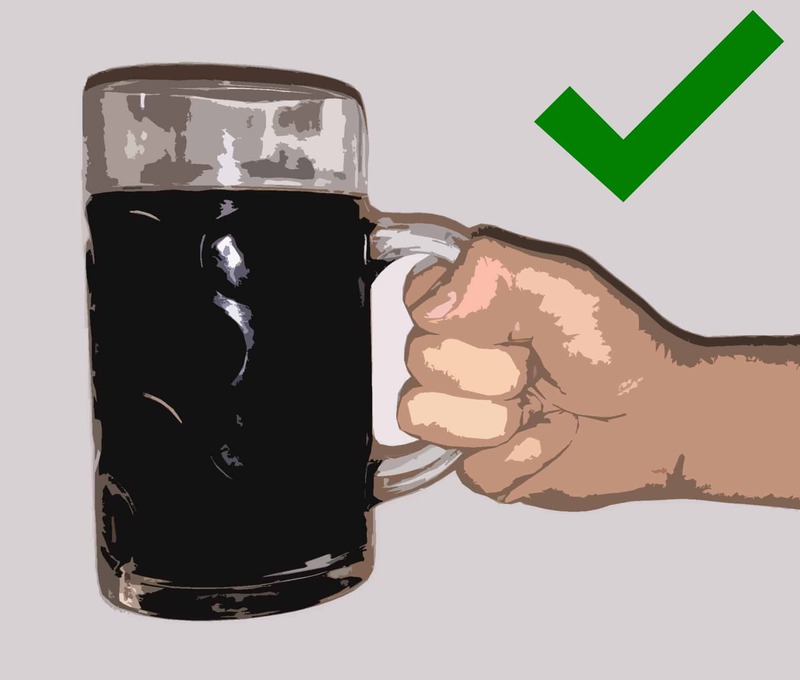 The off-hand should remain at the competitor's side or back and may not touch or be used to support the arm holding the stein. An infraction of any rule will result in a strike. After two strikes, the third infraction leads to elimination of the competitor. 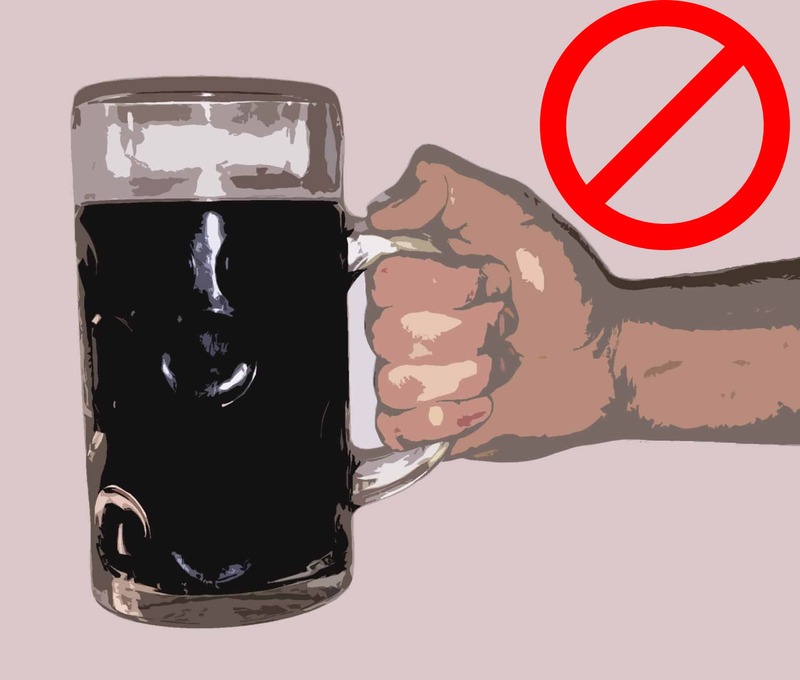 If any amount of beer spills or drips off of the stein, the competitor is eliminated, regardless of the number of previously assigned strikes. During outdoor competitions or humid conditions, judges should be sure to differentiate between dripping resulting from condensation and dripping resulting from beer spillage. Competitors should not contact any structures, objects or people during the competition. Competitors must stand within their personal area and should not move more than is necessary to make adjustments ensuring proper form during the competition. No brace, support or strap of any kind may be worn during competition. The elbow of each competitor must be visible to the judge to ensure straightness at all times. If a competitor is wearing a shirt with sleeves that go past the elbow, they should be asked to roll up the sleeve so that the elbow can be viewed. Athletic compression clothing is acceptable, however stiff or supportive clothing (such as a bench press shirt) may not be worn. Use of grip powders, pine tar or any similar substance is prohibited. Within the first 60 seconds of a competition, judges may provide corrections to competitors (hold higher, hold lower, unbend elbow) without assigning an official strike. Judges should be conservative but fair when assessing competitors. Failing to adhere to all of the rules or being too lenient with judging will hurt the reputation of the establishment and improperly prepare competitors for higher level competitions.